The Echo Plus and Echo Dot have been refreshed with a new design and better speaker quality. The Echo Echo Sub is a wireless subwoofer with Amazon’s Alexa assistant built-in. Amazon held a surprise hardware event yesterday and announced a number of new Echo devices, including new a Echo Dot, a refreshed Echo Plus with offline voice commands, the long-rumoured Echo Auto, a Chromecast Audio-like device called the Echo Input, an Echo Subwoofer, the second-gen Echo Show, improved security features in the form of Alexa Guard, and an Amazon Basics Microwave which can be controlled through Echo speakers. Phew! That’s an exhaustive list of announcements from Amazon that must have definitely left folks at Google scampering. 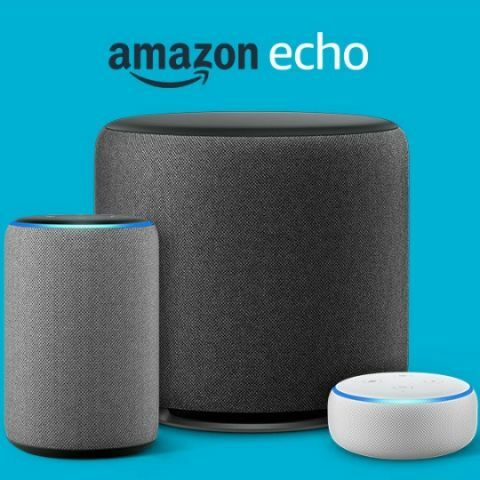 Of all the new Echo devices launched by Amazon, three were announced for India along with their prices and availability. Amazon will be bringing the new Echo Dot and Echo Plus in India, along with the Echo Sub. Here’s what the new Alexa-powered devices have to offer. The new Echo Dot comes with a refreshed design and 70 percent louder speakers thanks to a larger 1.6-inch driver. The speaker is now clad in fabric. Its edges are more rounded and it looks sleeker than before. The Echo Dot will be available in Charcoal, Heather Gray, and Sandstone colours. All the other features and functions of the Echo Dot remain the same, including its ability to connect via Bluetooth or a 3.5mm audio cable. At Rs 4,499, the new Echo Dot will cost the same as the older Echo Dot. The device goes up for pre-order today and will be shipped starting next month. The new Echo Plus also gets a new fabric look and better speakers with a built-in Zigbee Hub like the previous Echo Plus. The Echo Plus now includes an embedded temperature sensor, enabling users to set temperature-based routines using other smart home devices. For example, when the living room reaches 32 degree Celsius, Alexa can send a notification to your phone and turn on the AC connected to a smart plug. The new Echo Plus now has a larger 3-inch Neodymium woofer and increased back volume, stronger bass and improved mids and highs. The Echo Plus also gets offline voice control now and users will be able to give it voice commands even when the internet goes out. Amazon says it will be expanding Echo Plus’ local voice commands feature to other Echo devices in the future. The new Echo Plus will cost Rs 14,999 in India and is up for pre-orders starting today. Shipping will begin next month. The Echo Sub is a new entry into the Alexa-powered range of devices from Amazon. It is quite literally a wireless subwoofer Alexa integration. The Echo Sub can pair with any Echo speaker to provide a more powerful bass. Users can create a 1.1 or 2.1 stereo sound setup with the new Echo Sub and any existing or new Echo speakers. The sub also gets an equalizer feature to adjust the bass, mid-range, and treble through voice commands. Echo Sub is priced at Rs 12,999 in India and will be available later this year. should i buy lenovo zuk z2 plus at 12k? it had lot of bad reviews on amazon ?